Alexander Osterwalder and I think we have the answer – the new Mission Model Canvas. For these organizations, the canvas box labeled Revenue Streams doesn’t make sense. In a mission-driven organization such as the defense and intelligence community, there is no revenue to measure. So the first step in building a canvas for mission-driven organizations is to change the Revenue Stream box in the canvas and come up with a counterpart that would provide a measure of success. We’re calling this alternative Mission Achievement. Later in this post I’ll explain how we’ll measure and describe Mission Achievement, but first our Mission Model Canvas needs four more tweaks. At first glance, when developing a new technology for use in the defense and intelligence community, the customer appears obvious – it’s the ultimate war fighter. They will articulate pains in terms of size, weight, form fit, complexity and durability. But there are other key players involved. Requirement writers and acquisition folks look at systems integration across the battlefield system, while contracting officers, yet another segment, will count beans, measure the degree of competition and assess the quality of market research involved. The support organizations need to worry about maintainability of code or hardware. Does legal need to sign off for cyber operations? So yes, war fighters are one customer segment, but others need to be involved before the war fighter can ever see the product. So the first insight is that in the defense and intelligence community mission models are always multi-sided markets with the goal of not just building a great demo but getting the product adopted and deployed. Second, in the defense and intelligence communities almost all of the mission models look like that of an OEM supplier – meaning there are multiple layers of customers in the value chain. Your product/service is just part of someone else’s larger system. In the defense and intelligence community mission models, there will always be multiple beneficiaries. It’s important that each beneficiary gets its own separate Value Proposition Canvas. Customer discovery helps you understand whose buy-in is needed in order to deploy the product/service (legal, policy, procurement, etc.) and how to get those beneficiaries to buy-in? (Funding? Mandates? User requested? etc.) In addition, the long-term support and maintenance of new projects need to be articulated, understood and bought-into by the support organizations. At the Pentagon a favorite way to kill something is to coordinate it to death by requiring buy-in from too many people too early. How to determine who are the small group of critical people to get buy-in from – and how to determine who are the next set required to sustain the iterative development of future MVP’s – is one of the arts of entrepreneurship in the defense and intelligence community. I´m enjoying this point of view. One more time is demonstrated the strength and flexibility of the BMC by Osterwalder. Thanks Proffessors. I always liked the Canvas Business Model for startups. Your innovation to extend it to Mission-Oriented Organizations is “brilliant.” I will contribute to the discussion as we move forward on topic. Food for thought – How do you maximize your budget? How do you increase your budget? How do you leverage “outside” money? How important is vision? How do you deal with mission failure? How do you deal with mission success, etc. Hi Steve, this is Masato Iino an admirer of you from Japan. Thank you for sharing the great insight. It certainly is a step forward to apply BMC to non-profit driven organization. Business organization and those non-profits are differently motivated, but “multilayer procurement” and “deployment” are common to most B2B businesses. In order to broaden use of BMC to apply to non-profits, I would replace “R$” with “Self-sustaining Driver”. This Self-sustaining Driver includes Revenes for businesses, and mission for non-profits. Appreciate your thoughts! I like most of these modification. Reframing the language makes it much easier to communicate with stakeholders without requiring a translator. Removing any mention of the customer and the revenue model risks missing an important aspect of creating a non-profit…particularly if the customer has a completely different set of metrics for success. e.g. A politician whose metric might be the # of articles written about the program mentioning the politician’s name. @tristan Great points! In fact, I believe that not-for-profit NGOs with donors or other revenue streams should continue to use the Business Model Canvas rather than the Mission Model Canvas. The Mission Model Canvas was conceived for organizations that have budgets (rather than customer revenues) that will match the cost structure. For example, imagine the European Union or member states using the Mission Model Canvas to find a solution to the refugee/migration challenge. They can use the Canvas to come up with alternative solutions. Each solution can be evaluated a) on the required Mission Budget of the solution, and, b) on Mission Achievement Factors. To pick a solution decision makers need to balance between cost and impact of each solution. Revenues are not a decisive factor. For a not-for-profit NGO with donors (or even customers) the situation is different. They need to have a clear value proposition to donors and/or other customers, which will result in revenues from donors and/or other customers. Donor and other revenues are a decisive factor in the survival of the organization. It could be interesting, however, to design a Mission Model Canvas for the mission and beneficiaries of the NGO – in addition to their Business Model Canvas. The proposed @tristan makes sense. I like to think that the “revenue sources” can always be replaced by the metric or metrics that need within a business model aimed at NGOs or non-profit. That makes sense to me. Doing a BMC first for the larger org and then zooming in for the team with the Mission with this canvas seems wise. In that case, it may be helpful to refactor the look/feel/shape of the Mission canvas. We, humans, are a little dumb and lazy. With so many canvases derivatives looking identical, many of us innovators assume they are replacements as a default when they may be complementary. Not a criticism or your work. Just a default human behavior to not think too hard about the tools we use. 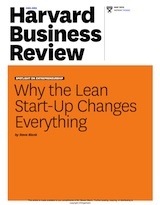 There are a lot of entrepreneurs out who have to be disabused of the notion that the lean canvas must be a “leaner” replacement to the BMC even though both tools aren’t inherently lean at all. It’s how we use them to iterate. Then why not call it the government canvas – rather than risk this Mission canvas being adopted by NGOs and social entrepreneurs who really need to be using the BMC? Thoroughly enjoyed the rerun of the strategyzer webinar tonight with Steve and Alexander. I’ve been using the canvas in a similar way for a while in an existing organisation so was excited to see it reshaped in this way. One thing I wondered for social enterprises is whether they could use the MMC to validate their social model alongside the BMC to validate the business model. 1-A business model, either of a company or an NGO is designed to be sustained over time, either incorporating changes or not. 2-A certain project, that is born within an organization could have a beginning and an end. That is, from the time it is conceived until it fulfills its mission, and then disappears. Although the idea of the Vision Model Canvas is exciting, I still do not know its use by the temporal variable. A business is always going to be “rolling”, with changes or not, however a project that is born to fulfill a mission has time of expiration. (it was super long) so I guess I’ll just sum it up what I wrote and say, I’m thoroughly enjoying your blog. I too am an aspiring blog writer but I’m still new to the whole thing. Do you have any points for newbie blog writers? I’d genuinely appreciate it. I’m interested in your assumption that mission-based organizations don’t need to think about revenue streams. I wonder if that’s a wise assumption to make as sustainable growth with impact is the focus of most mission-based organizations today. They don’t see their missions as time-limited and as external funding sources dry up, they are working hard to figure out what a new business model that delivers sustainable growth looks like. I work with a values-based financial cooperative. We have set up top-of-the-house metrics for impact as well as what we refer to as confidence (e.g. return on equity and membership growth). What about leaving revenue streams in and then adding mission achievement as a third box on the bottom of the canvas? I appreciate and understand your comments and your ideas, but in my opinion the BMC is an open model that you can design and convert in anything you need to organise your project. Mision Model Canvas is a concept traslated from BMC, so, a concept of thousands you can imagine to organize your ideas and projects, yes, I think that’s clear for everyone, however, for me, as engineer, I would like to point how can we share experiences using (X)BMC to learn its application to real projects. Any ideas? Thank you for making this important contribution. Admittedly, I need to take some more time to digest the concept of a “beneficiary” vice “customer” in the Mission Model Canvas, but my initial reaction is to take exception. On one hand, we still get blank stares from government employees who are reluctant to think about serving customers; but I still group much of this reticence as an excuse, placing it in the bucket of “it is much easier to say that I am serving the public, constituents, stakeholders etc than do the hard work of identifying my customers and understand their needs.” On the flip side, there are have been some recent shifts in US government (Executive Order 13571, US Digital Service, GSA’s 18F Teams, Customer Experience Officers, and VA’s MyVA transformation) that indicate there is an appetite for government to think about themselves as service providers who have customers and where these customers decide whether or not to do business with them. These are often breakthrough conversations as people latch onto the concept of delivering something of unique value and providing a unique customer experience. As it is explained, Beneficiaries, include functions such as acquisition, legal, procurement (which are part of every revenue-generating operation) but could also include other external influencers like politicians, oversight committees, and lobbyists whose equities may compete with the primary customer. My concern is the solution that best serves the customer (citizen, a warfighter, or another government employee) may get significantly watered down when we settle for adapting it to the various stakeholders and beneficiaries that like to tinker with great ideas and, as you state, “coordinate it to death”. All of the groups you categorize as Beneficiaries are important to the success of the solution, but none hold the unifying power of a customer. Jointness (military jargon for “integration of the strengths of multiple organizations in a coordinated effort to achieve a common goal”) can only succeed when everyone is clear on objectives and priorities. Focusing on the customer is very often a powerful means to achieve unity of effort. Hi, I really like this version and I was working with a similar version for some projects. In my experience funding and future funding is an important aspect like any commercial startup and I think this part is more similar to revenue streams than mission achievement. I like the model but kind of see this part of revenue streams missing out a bit. Another aspect is implementation within an organization which always is a struggle for experiment projects, and not just beneficiaries support. Usually after experiments there is a report and after that it can take years before you see any thing showing up in the field. I really hope the deployment part also includes implementation by organization and not only technical. I think the defense can learn a lot by adopting lean perspectives in sw and hw, but one major problem is that the leadership is usually dinosaurs who can’t keep up with the advice they get on especially technology, and the younger generations are trying to get a word out about the new innovation models and tech, but unfortunately these things take time, tens of years. The greatest thing is that this model will save money, time and be more beneficial for the user – if you get the customer development part right. Thanks for the post and great to see that you are both thinking about mission driven organizations. I think context is everything and the mission model canvas appears to have been developed for a specific user. I have recently completed research on Lean Start-up and it’s implementation within the social impact sector and have a few interesting observations I would like to share: Social entrepreneurs can be stuck in a ‘mission mindset’ placing predominant focus on the cause or mission as opposed to the organization they are trying to build. Most research participants (all social entrepreneurs / advisors to social impact driven organizations including NPO’s) found a conceptual framework like the BMC to be extremely helpful in bringing focus to the business and organizational requirements needed. The research revealed however, that the BMC is viewed as incomplete and 66% of research participants had developed their own version of the BMC or had modified the existing BMC. The predominant gaps identified in the BMC were centered around articulating future vision (understanding theory of change) / social purpose, generation of impact from a tri-impact perspective (financial, social and environmental) , organizational sustainability & governance (environmental and social), multiple stakeholders / beneficiaries and value destruction (when you create value you may, in turn, destroy value for another stakeholder group / social system or the environment). What was also interesting was that the shortcomings of the BMC created a perception that Lean Start-up is not a good fit for social enterprise as 91% of participants believed that the BMC is Lean Start-up. There is some amazing work being done on the development of highly innovative social impact driven design tools by people such as Antony Upward (The Flourishing Business Model Canvas), Alexandre Joyce (The Triple Layered Business Model Canvas), Claude Michaud (Social Business Model Canvas). These innovators are addressing the complexity involved in designing mission / impact driven organizations. It would be amazing to see all of you thought leaders working together, sharing your knowledge, experience and insights in improving design tools for businesses of the future, those who do good TO to well. PS I would be happy to share my research as well. Hi Steve, great post! I’d be curious to know what you think of the Innovative Non-Profit BMC. I’m creating a modern charter school model for the XQ Super School Challenge, hosted by Lauren Powell Jobs. As many have pointed out, Non-Profits are usually in at least two business: one with their donors, and one with their beneficiaries. As such I’m creating three BMC: one for Donors/ Gov, a second for beneficiaries/ students, and a third for our educational technology platform. Breaking it out to such a degree has proven useful so far. Thanks, @SGBlank & @AlexOsterwalder , for making your work more accessible for mission orgs. I see value in your comment to keep Business Model Canvas together with Mission Model Canvas since everyone’s mission relies on revenue even if they don’t earn it from customers. I’d be curious your reactions to other reasons that I mentioned in recent article: The Secret Sauce in Shared Value, Lean Startup, Behavioral Economics and Social Enterprise? I’ve been a fan & using business model canvas for my lean startup social enterprise. More from my microfinance & NGO consulting I elsewhere proposed alternative ways NGOs not taking payments for services could still incorporate dynamics from market transactions to drive up value and sync their business model with mission impact. What do readers think? I am puzzled by what the MMC actually represents? 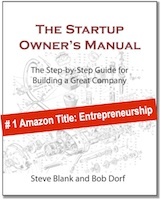 I’m happy that a BMC represents the hypothesis that a startup is pursuing as they search for a viable business model. 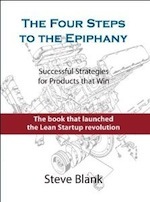 As a BMC’s hypotheses mature, the startup transitions into a profitable & lasting business. What is the end state of mature hypotheses under an MMC? In business, money is the consideration that a consumer offers to acquire the good or service. Businesses compete for share of wallet as validation that their business model is working; it is a convenient and universal measurement. I believe that “effort” is the consideration that people use to acquire government services as conceived through the MMC. People weigh whether the benefit they receive from the government service is worth the effort they need to expend to gain access to it including opportunity costs. To get to the desired outcome, however, we must think of Effort as a time coupled with customer experience.